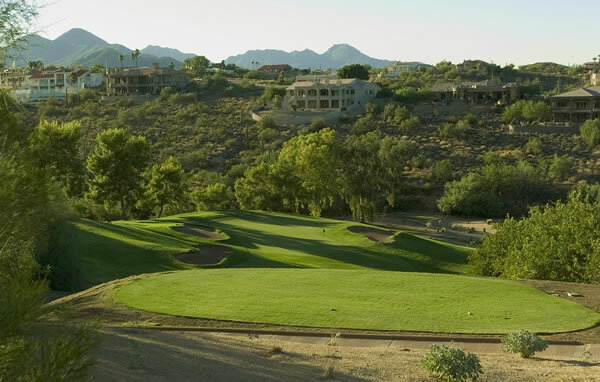 Desert Canyon Golf Club is a challenging desert design that winds down canyons though scenic desert terrain. Fairways play open; however, beware of blind tee shots due to the layout of the land which slopes towards the valley. Natural desert plants line the fairway and beautiful mountains surround the course. The greens play fast and offer slight undulation. There are parts of the golf course which boast extreme elevation changes so make sure to have your camera. Views of the world’s largest 500 ft fountain may be seen from this high elevation. 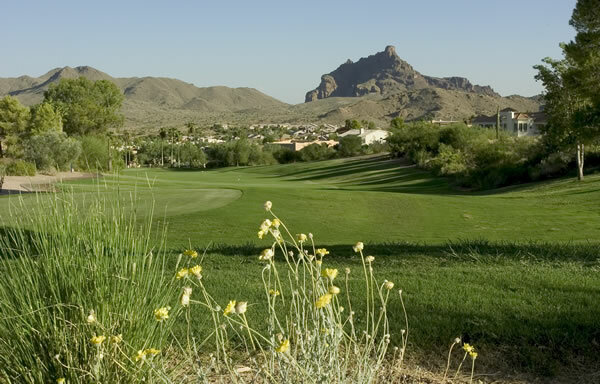 This Arizona golf course is priced economically and is considered fun and playable for any level golfer. From Phoenix Sky Harbor: Follow the airport signs to the Loop 202 E. towards Tempe. Merge onto Loop 202 E. and continue for 7 miles. Exit on Country Club Dr. / AZ-87 via exit # 13 towards Payson. Turn left onto Country Club Dr. / AZ-87 N. and continue to follow AZ-87 N. for 11.7 miles. Turn left on Shea Blvd. Turn right on Saguaro Blvd. Turn left onto Monterey Dr. Turn left on Nicklaus Dr. Turn right onto Indian Wells Dr. The clubhouse is located on the right hand side at the top of the hill.